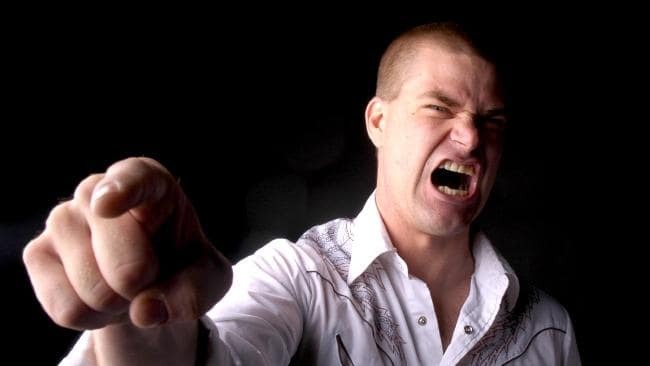 A study has found anger in young men is being fuelled by the belief they must behave aggressively, along with experiences of alcohol use, territorialism, issues at school and peer pressure. TEENAGE boys living in the country grow up believing they have to be aggressive, new research has shown. A new study, out today, has found anger in young men is being fuelled by the belief they must behave aggressively, along with experiences of alcohol use, territorialism, issues at school and peer pressure. The research also found exposure to racism, homophobia, family influence and media have helped boost "toxic masculinity" and make it seem normal. Lead author and child health expert Dr Paul Edwards also explored the history of larrikinism and discovered a link with aggressive behaviour. "Aggression has been an endorsed expression of anger within Australian culture for young men," he said. Do you believe boys from the bush are more aggressive? This poll ended on 31 July 2018. Griffith University was involved in the Australian study of 187 boys aged 12-17, published in the International Journal of Mental Health Nursing. The study builds on evidence supporting the Rock and Water Program, developed in The Netherlands, as an effective way to engage adolescents about anger management. Boys in the study were adamant that much of the violence in their lives related to alcohol. Parties were listed as a major contributor to aggression.